Far Cry 5 hits the lowest price ever for $14.25 after coupon today in GamerGates Far Cry midweek sale. Discounts up to 80% off Far Cry titles and DLC. New low on Assassin's Creed Odyssey and a ton of other Ubisoft titles up to 75% off in GamersGate's Ubisoft Mega-Hits sale. 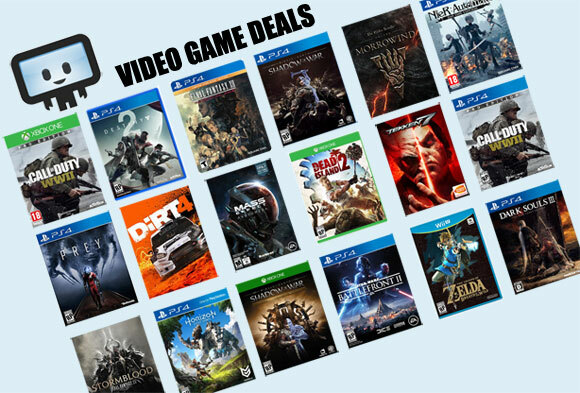 Good prices on Assassin's Creed, Tom Clancy, and the Far Cry series. Now through November 15th, GamersGate is running a Ubisoft sale with discounts up to 75% off. Top deals include Child of Light, The Crew and Far Cry series. GamersGate continues their sale on Ubisoft title with a smaller batch this week. Though most of the games have been cheaper, we're spotting new low on Grow Up and Rocksmith 2014 Remastered. Watch Dogs 2 is also on tap, but they were a lot cheaper during Winter Sale. Through Monday, GamersGate is running a Ubisoft weekend sale with top titles at up to 75% of. While most have been cheaper before (click-through for price history), Steep is now at historic low of only $15 for the PC digital copy. New round of Ubisoft Games on sale this week at GamersGate. Watch Dogs down to $16, The Crew $15, Trials Fusion $5, and more. Several titles like Trials Fusion matching their all time lows. Anno 1404: Gold Edition, Might & Magic Heroes VII Deluxe Edition, and Settlers 5 Heritage of Kings at their lowest prices ever this weekend at GamersGate. Up to 75% off Ubisoft Strategy titles. Prices are at or near all time lows. Cheap Devil May Cry, Dead Rising, Resident Evil and Street Fighter series in GamersGate's Capcom Black Friday sale. Discounts up to 87% off. Only one new low (Dead Rising 4 Frank's Big Package), but decent prices up to 60% off on Capcom titles at GamesGate. Prices only valid through Sunday, September 23rd. GamersGate is running a Capcom sale since Wednesday through the weekend. Many of the Resident Evil titles are already on sale at GMG, but you can pick up Street Fighter titles here for cheap, particularly SFV 2017 Deluxe which is essentially lowest ever at $40. New low on the Ultra Street Fighter IV Upgrade plus $12 Dragon's Dogma, $20 SFV and more in GamersGate's Capcom Midweek sale. Discounts valid now through Thursday, June 8 at 4PM Pacific. Today marks the beginning of an Assassin's Creed weekly sale. Discounts up to 66% off on the entire franchise. Not many of the titles are at their all time lows, but most all are within a few bucks of the all time low. Another sale that cropped up today at GamersGate is an Assassin's Creed Weekend. Lowest price ever on AC IV Black Flag Gold Edition ($15) and everything else at or near its all time low. Lego Star Wars The Force Awakens, LEGO Batman, LEGO Marvel Super Heroes, LEGO The Incredibles, and more LEGO games are 75% off this week at GamersGate. Most titles $5 or less. Today until next Tuesday, GamersGate launched their 2K sale. Disocunts up to 80% off on some big name titles like Civilization VI, Mafia III, and the Borderlands franchise. Launched yesterday, GamersGate is running a 2K Games sale across popular franchise. You'll find Civilization series, XCOM, Mafia, and plenty more at good prices. Only one title has reach historic low but if you've been itching for any of these games these discounts handily beats paying full price. This week GamersGate has launched a 2K Summer Sale. 2K games like the Civilization series, XCOM, Mafia, and more titles are all at good prices. Not a lot of new lows, but there are a few including Civilization: Beyond Earth - Rising Tide. GamersGate is running a Bethesda publisher sale, though most of the titles have been cheaper - one major standout includes historic low price Doom for only $6.40. Other decent deals includes Fallout 4, Quake II, and The Evil Within 2. Sale ends later this Sunday. Last weekend for this sale. GamersGate's Bethesda Sale is a bombshell. Until Monday next week get the lowest price ever on a big batch of Bethesda titles from Quake VI, Doom, Dishonored 2, and rock bottom prices on titles like Fallout 4, Fallout New Vegas Ultimate, and more. New lows on Fallout 4, TESO Tamriel Unlimited, and the Quake Collection in a new E3 themed Bethesda Sale. Skyrim Legendary down to $16.40, $3.03 Dishonored, TESO Gold $25 - all good prices, some cheapest ever. Elder Scrolls, Fallout, Quake and more discounts in GamersGate's 48 hour Bethesda sale. For the most part we've seen these discounts before, but all time low on the Quake Collection. This week GamersGate launched a THQNordic Gigantic sale with great discounts on Black Mirror, Spellforce 3, Elex, Ori & The Blind Forest, the Darksiders series, and more. Very few new lows, but many games near their all-time lows.